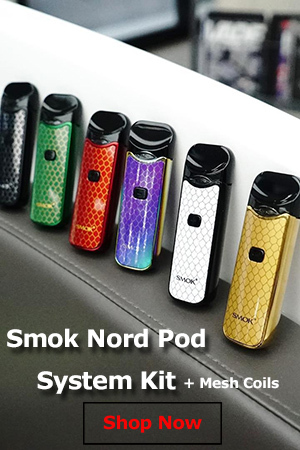 Looking for a great price on the SMOK Procolor Kit? Check out this special offer. If you loved the SMOK Alien and have been waiting for an updated version, you’ll be happy to know that the wait is over. 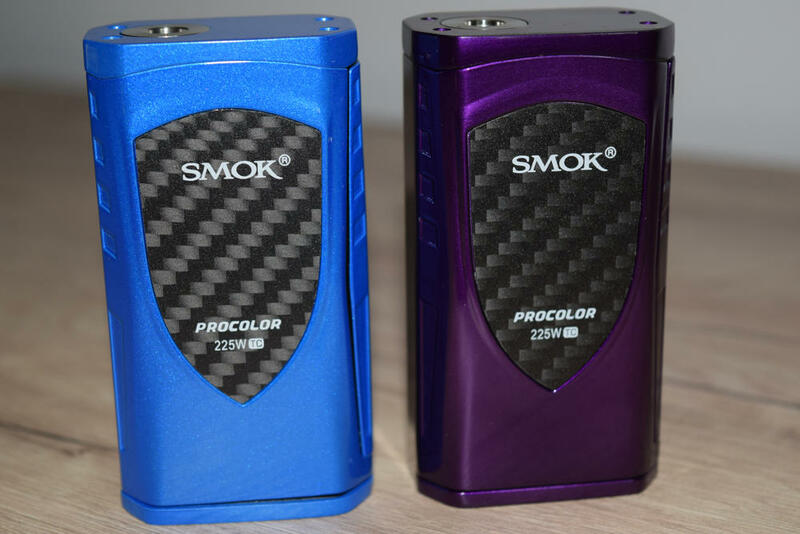 It may not be called the Alien 2, but, in my opinion, the new SMOK Procolor is basically the successor of the popular Alien 220W mod. It has the same general design, same 510 connection. almost the exact same size and width, and a very similar firing bar. But this is a newer device so it does come with some extras – a whole new menu interface and a cool light-show function. 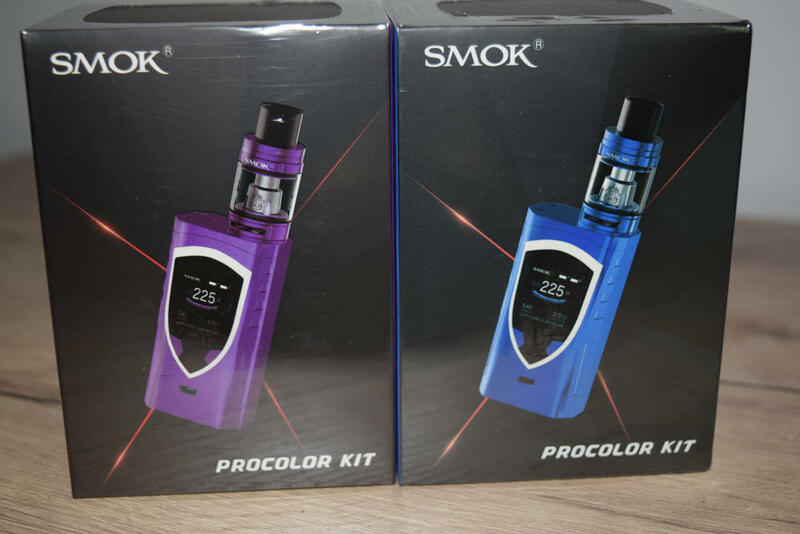 The Procolor kit comes in the usual SMOK packaging – a large rectangular box, with a glossy picture of the device on the front, and a short description, a list of kit contents and all the legally required warnings, on the back. 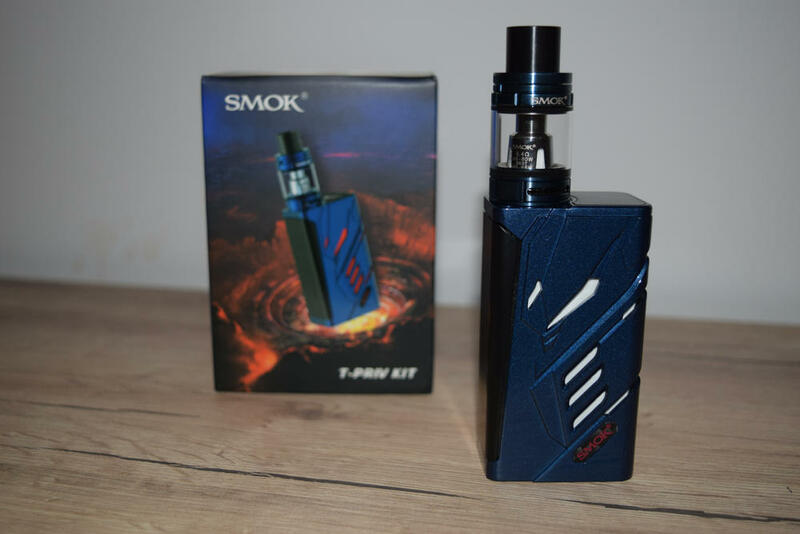 The boxes all match the color of the mod they contain, which is a nice touch, but overall a very nice package, as we’ve come to expect from SMOK over the years. Inside the box, we have the slick Procolor mod sitting in a Styrofoam holder, and underneath that we have the second layer of the kit, which contains a micro-USB cable for charging/firmware updating, the SMOK Big Baby Best sub-ohm tank, a spare glass tube for the tank, a couple of coil-heads and some spare o-rings. Also included are two user manuals, one for the mod and another for the tank. Pretty sweet package, in my opinion, in line with what SMOK has been offering its customers for the last couple of years. I should point out that this a starter kit, but you should also be able to buy the Procolor mod separately, for about $20 less. As I mentioned in the beginning of this review, the new SMOK Procolor mod is very similar to the Alien 220W. 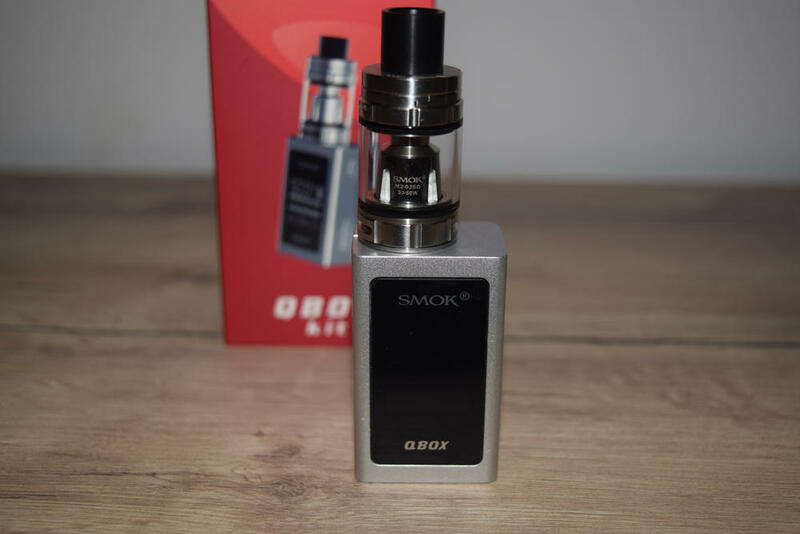 It’s 85 mm tall, 46 mm wide and 30 mm thick, so basically just 2 mm wider than the older SMOK device, otherwise thy’re pretty much identical. The similarities are also very similar in the general design of the mod. 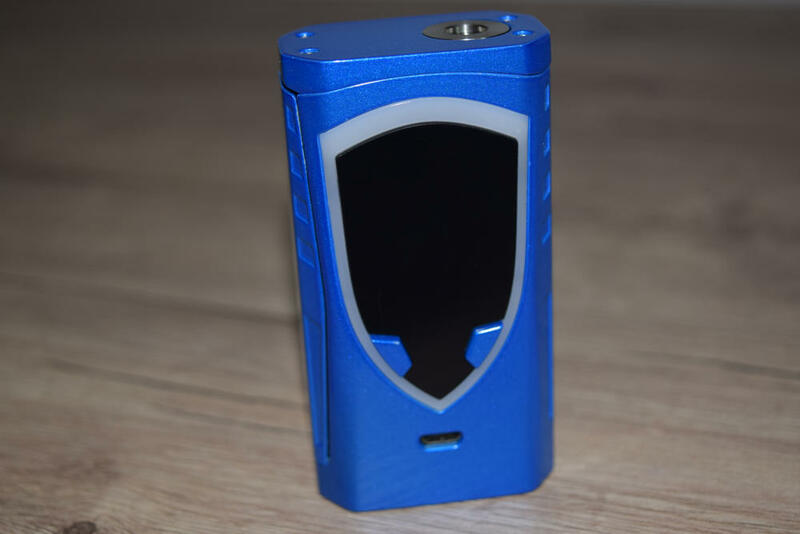 It has the exact same 510 connection, the firing bar on one of the sides is also very similar, although this time the Chinese company is calling it a non-slip bar, and the battery door on the bottom is the same style hinged door on the Alien. Although the display and the decorative carbon fiber panel on the opposite sides of the Procolor are shaped as shields, while those on the Alien are rectangular, when looking at the two devices side by side, the resemblance is obvious. The shape and placement of the buttons and the micro-USB port are a bit different on the Procolor, as well, but still very similar to the general design line of the Alien. The display is about the same size as that of the Alien, but the layout is completely different this time around, with the information being displayed in a way that makes the home screen much less convoluted. It’s also a bit brighter, making it easier to see in bright sunlight. 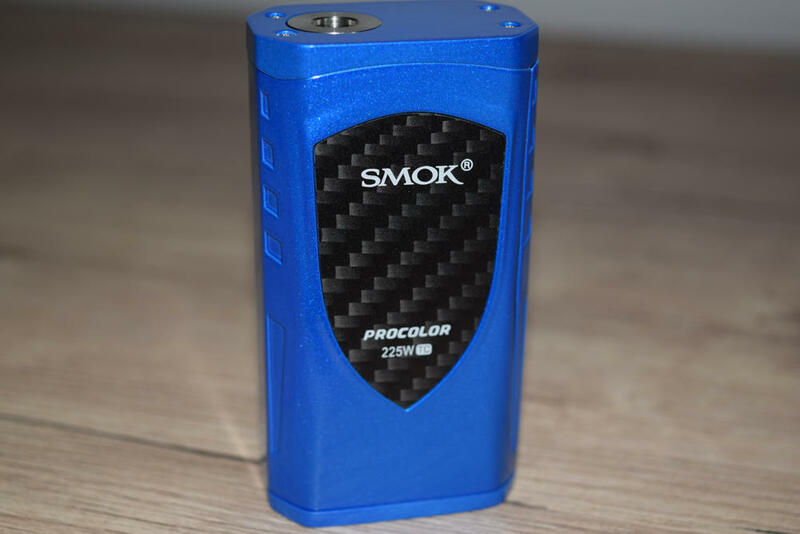 Apart from the shield-like shape of the display and the carbon fiber panel on the opposite side, the one element that really sets the SMOK Procolor mod apart from its older brother is the white plastic border around the shield. This actually conceals a bunch of LEDs that light up in different colors, the same way as the new SMOK T-Priv does. The Chinese company seems to be going back to its roots, as this is the second light-show device they’ve released in the last couple of months, a feature we haven’t seen on its devices since the old X Cube 2. Some people absolutely hate the light-show feature, because they don’t like drawing attention to themselves, but I for one am a big fan of it. It’s an extra customization option and it actually gives the device a cooler look. 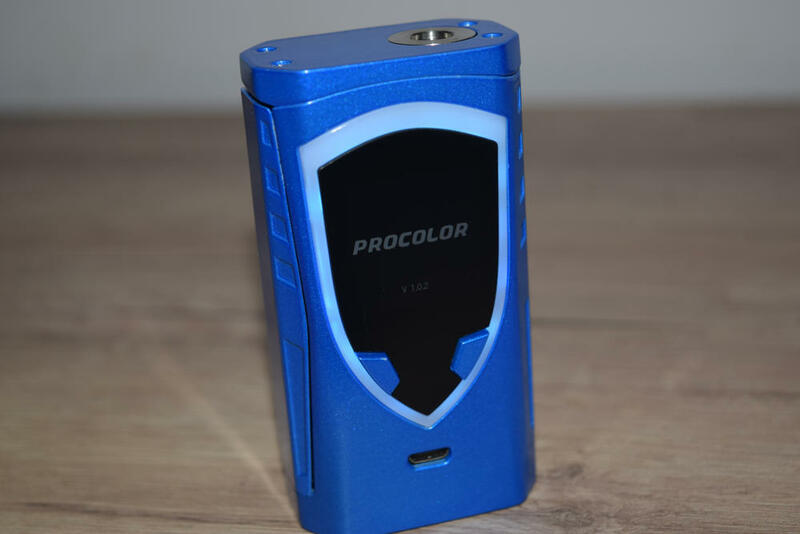 But if you don’t like it, you can just turn it off in the menu and use the Procolor as you would any other dual 18650 vape mod. One other difference you’re bound to notice between the Procolor and the Alien is the different paint job. The Alien was notorious for its questionable finish, and many user complained that it just started peeling off after a while. 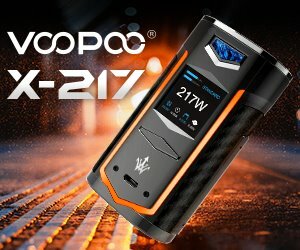 SMOK listened, and starting with the GX2/4 mod, they changed the paint job on all their devices. It’s a lot glossier now, as it comes with a clear coating that is supposed to protect the actual paint. Both my SMOK GX2/4 and T-Priv mods have been holding out very well so far, so I think it’s fair to predict that you won’t have the same problems with the Procolor, as you did with the Alien, unless you seriously abuse it, obviously. 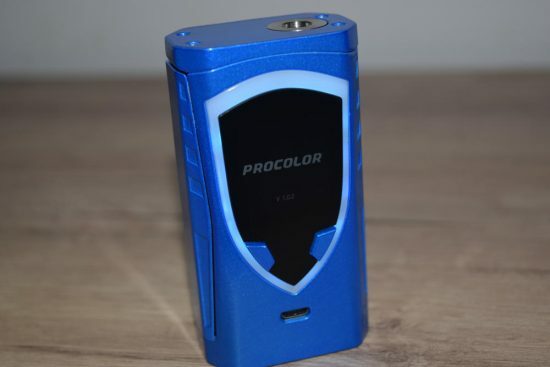 If you liked the SMOK Alien, you’ll probably love the new Procolor as well. Despite the few minor differences, in terms of design and build quality, these two devices are very similar. I for one am convinced that the resemblance was intentional. The Alien is probably the most popular dual-battery vape mod of all times, so it makes sense that SMOK use it as inspiration for its successor. 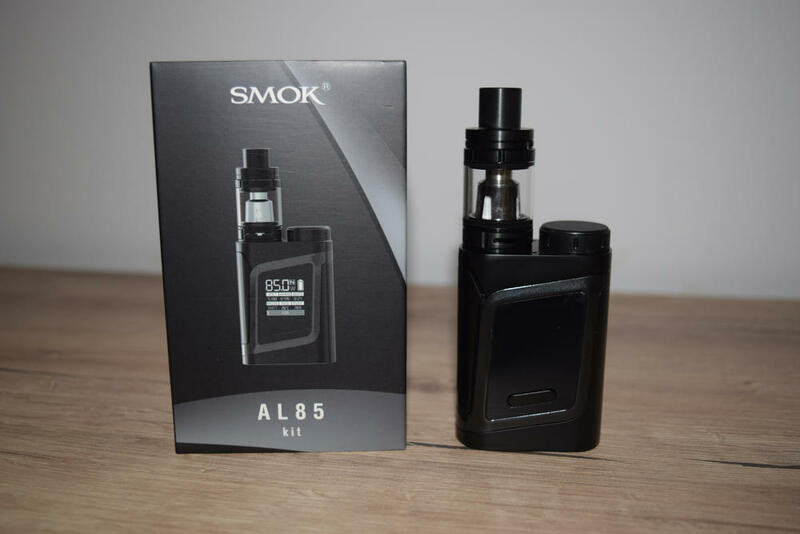 After reviewing the SMOK AL85 and the QBox, two devices that used the same chip and display as the Alien 220W, I remembered complaining about the Chinese company playing too safe by relying on tried and true technology, instead of coming up with something new. Well, they did that with the new Procolor mod, at least as far as the menu and navigation are concerned. In my opinion, the display and home-screen of the Alien were the best in the industry, but I dare say that the Procolor tops it. There is still a lot of information presented on screen, but it’s not laid out in a way that makes it seem confusing to new users. 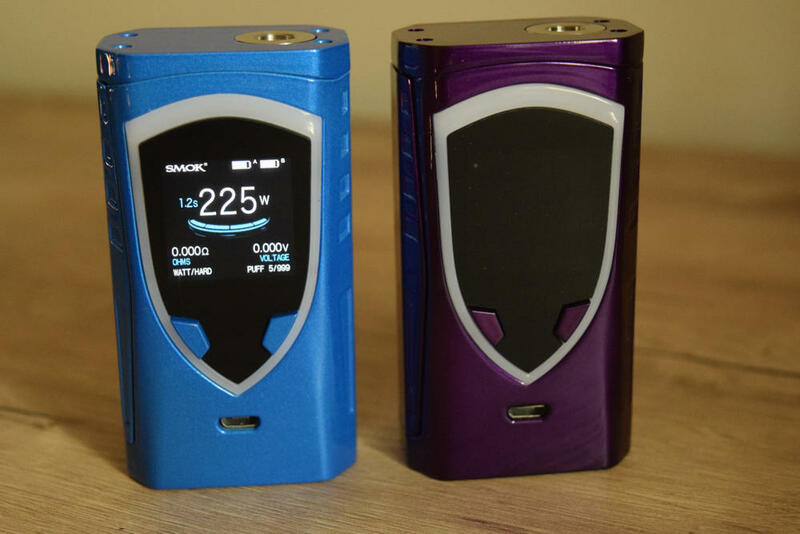 You have separate battery indicators, the set wattage/temperature, puff timer, atomizer resistance, real-time voltage, puff counter and mode/preheat indicators. The one thing I didn’t like was the “SMOK” logo in the top-left corner. They could have used that space for something more useful instead of marketing their brand. If you’re using the Procolor, you already know it’s made by SMOK. To access the menu, you just have to press the fire bar three times in rapid succession. That may sound familiar, but from this point on everything is different. The Procolor menu consists of several submenus, each with its own settings, and navigating through them, and browsing through the submenus, while trying to change some of the settings can be a bit confusing at first. That’s because most of the navigating is done with long and short presses of the firing bar, and a wrong press at any given point basically means that you have to start over. 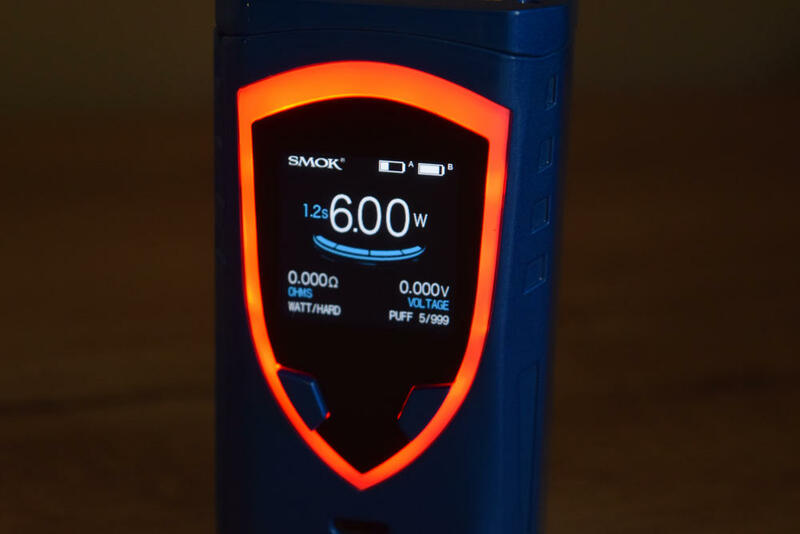 The easiest way to explain the navigation system of the SMOK Procolor is that once in the menu, short presses of the firing bar let you browse through the different submenus (Mode, Puffs, Screen colors, LED colors, Power on/off), while long presses when in any of these menus allow you to jump through the various settings of every submenu. The “+” and “-” buttons are used to browse through the different options of every setting. It even sounds a bit confusing, but once you understand when to use short or long presses of the firing bar, everything becomes easy. 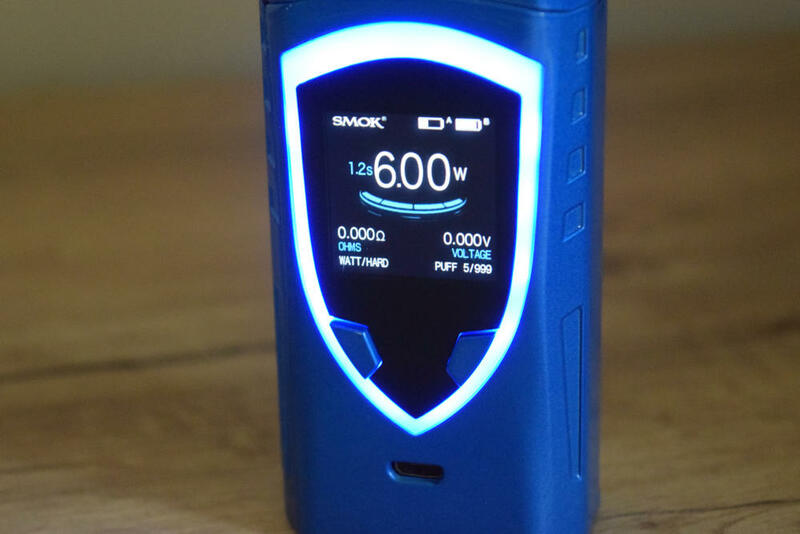 The SMOK Procolor has TCR, Memory mode, Preheat functions and all the other advanced features you’ve come to know and love, they’re just a bit different to select and adjust, due to the new navigation system. The submenus are much better looking than those of the SMOK Alien. All the different settings are displayed on a single screen, making it easier to change things, without having to navigate through different pages. Some of the menus even have changing icons, like the Mode menu, where browsing through the different temp. control materials, changes the way that the coil icon looks. Even though color customization really doesn’t impact the performance of the SMOK Procolor, it’s still one of its main features. 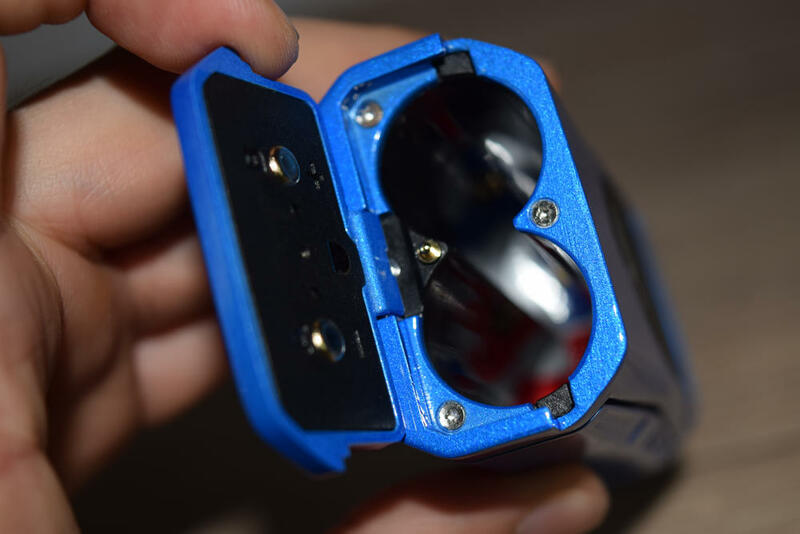 This device not only lets you change the color of the LED bar around the display, as well as choose how, when or if it turns on, but it also allows you to change the color of the settings shown on screen, so you can have it match the LEDs, or the color of the mod itself. It’s really an extra way to personalize your vaporizer, so it’s definitely a plus, in my book. I hate talking about battery life when reviewing external battery mods, but people keep asking about it. 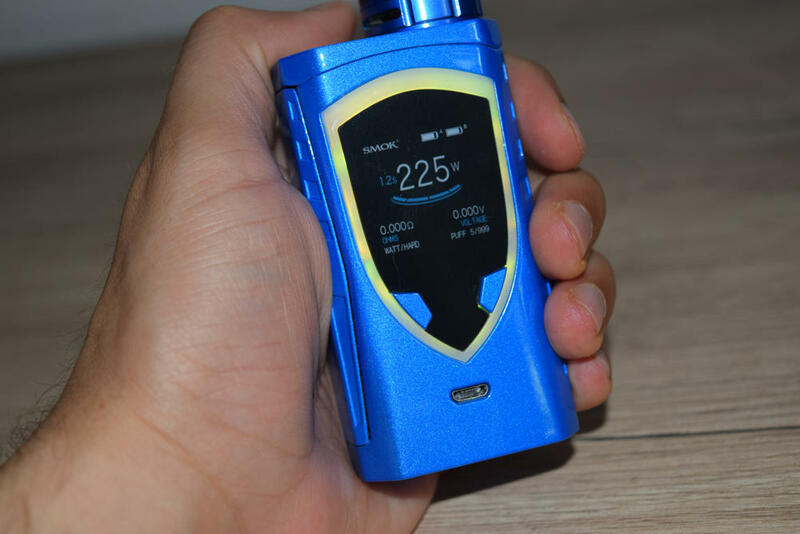 There is literally no way of estimating how long your batteries will last, because it depends on a variety of factors, like the type of batteries you’re using, the power output you set on the device, as well as how much you vape. I can tell you that I get about 7-8 hours of vaping out of my SMOK Procolor, with the Freemax Fireluke tank (0.15Ω coil-head), at around 85W, which is pretty much what I get out of my old Alien mod. I was curious if the the LED light-show – set to light up only when I vape – would impact battery life significantly. It doesn’t at least not in my experience, but it could drain quite a bit of energy if you set it to “always on”, although I don’t see why anyone would do that. Performance-wise, the SMOK Procolor is a very solid device. As always, I’ve mainly been using it in wattage mode, and I’ve had no major problems with it. It’s important to mention that SMOK sent me a couple of units before the mod was officially released, and they did mention that it could have some issues. However, apart from one dual-coil setup that the Procolor read as “shorted”, when all my other devices fired just fine, I din’t spot any glitches. And even that I’m sure will be fixed – if it hasn’t already – through a firmware update. Does the Procolor actually do 225W as advertised? No, it definitely does not, just like the Alien didn’t really do 220W, and everyone knows it, but SMOK keeps pushing these unrealistic figures. I think it’s a mistake, and a pointless one at that, because very few people vape at that wattage level anyway, but that’s no excuse for being dishonest. Just say it does 200W if that’s the actual power output. I don’t really care about the 25 extra watts, because I would never dream of vaping anywhere near 200W, let alone 225W. But the dishonesty does bother me. Unlike the Alien, which did have a short delay when firing, battery activation on the SMOK Procolor is virtually instantaneous, and the wattage ramp-up is lightning fast as well. The classic preheat function also works very well, when you’re trying to get your coils to a higher temperature, faster. I didn’t experiment with temperature control too much, because I’ve never really liked this feature, but I did take it for a spin with the included stainless steel coils for the Big Baby Beast and it seemed to be adjusting the power level pretty well to keep the temperature within limits. 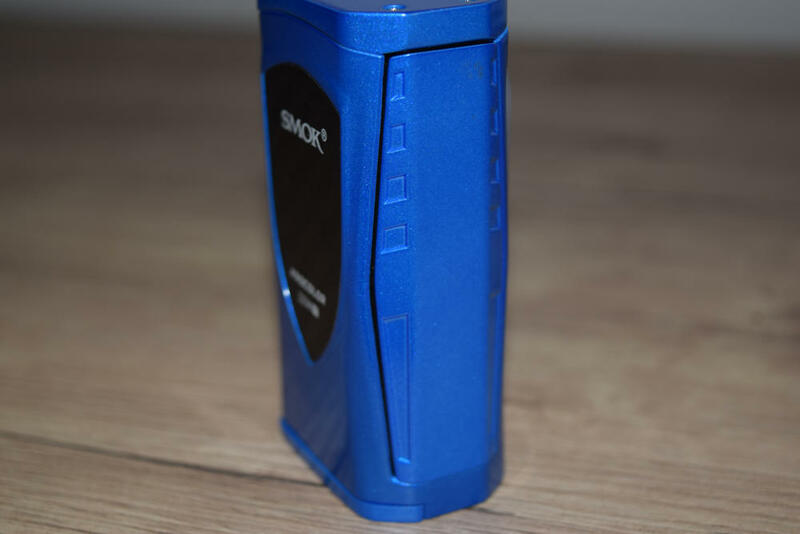 SMOK has definitely made some progress in this department over the last couple of years, and thanks to the firmware upgrades feature, they are able to fix any problems very fast. The SMOK Procolor may not be advertised as the Alien 2.0, but that’s pretty much what you get – an Alien with a slightly more refined design, more durable paint finish, modern features like on-board balanced charging and fast charging, as well as the cool light-show. Are these enough to justify an upgrade from the Alien, if you already own it? I don’t think so, but that doesn’t make the Procolor any less impressive. If you had to choose between an Alien and a Procolor, I would definitely go for the latter, it’s just not a considerably superior device. 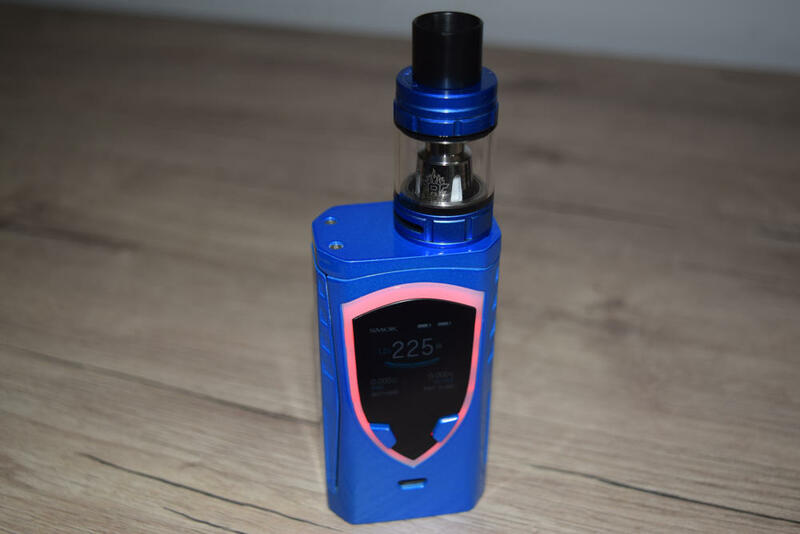 I didn’t go over the included SMOK Big Baby Beast tank in this review, because I’ve already talked about it in its own review, as well as in reviews of kits where it was bundled with other SMOK mods. Along with the Baby Beast, this is SMOK’s most popular tank, and I’ve already said what there was to say about it.